Armeg Water Feed Pump Kit - ONLY £19.99 (+VAT) - SAVE £5! 6.5mm diamond core bit + 6.5mm pro masonry drill bit. 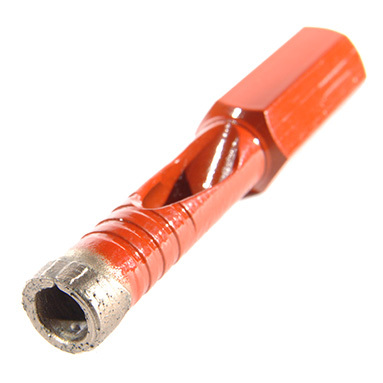 10mm Hex Shank design - fits straight into the drill chuck without the need for an adaptor! Armeg PTC diamond core drill bits feature thin wall, continuous diamond crowns for fast, efficient cutting and extended life. Not to be confused with short life diamond grit alternatives. 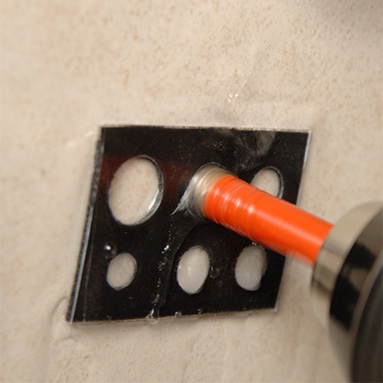 Capable of cutting hundreds of holes in all grades of porcelain tile. Perfect combination of diamond grade and precision manufacturing provides exceptional product strength and massively enhanced tool life. Slug collection and ejection compartment. Can be used in both corded and cordless drills. Armeg PTC drill bits need a constant flow of water at the tip through the entire drilling process. Can also be used in marble, granite, travertine, natural slate, quarry tiles, ceramic tiles, natural stone, limestone, etc. The optimum speed is 900 RPM. Why are there two drill bits in my plastic tube? 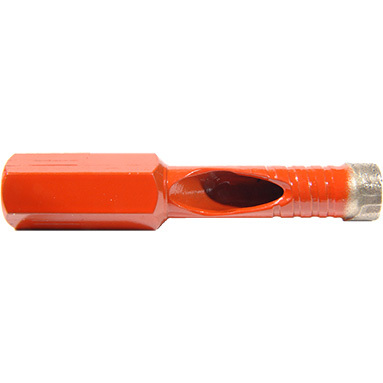 The drill bit with the red shank is the tile drill bit, the other is a professional quality masonry bit for producing the fixing hole behind the tile. Do NOT use the tile bit for drilling masonry!